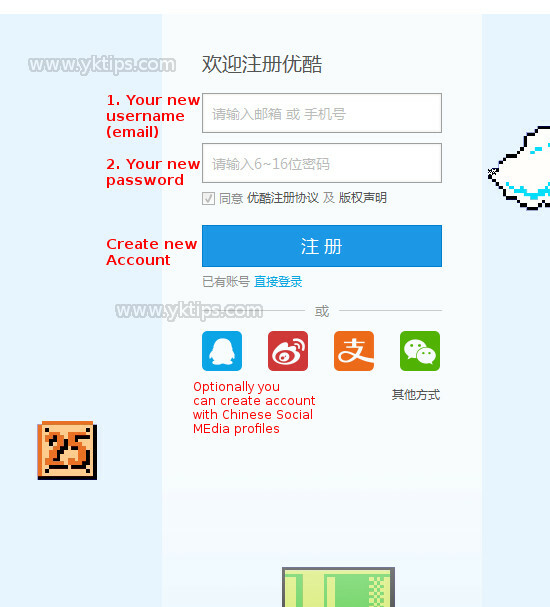 Creating a account at Youku.com is really simple if you follow the step-by-step guide provided here. Create Youku account and register by following this English guide. This is very simple. Click on this text 注册 (register) on the top right side of your screen. See image below. A new register tab will open. Note: If any ad might pop up, try to find the cross (x) to close the ad. 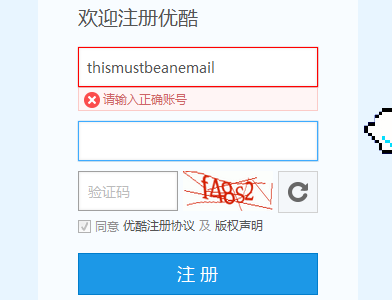 You see the registration form to create Youku account. See image below. First box is your username which must be your email. Second one is a password. Make sure you enter your password correctly, you only have one chance. A third textbox will appear, this is a captcha. Enter the words/numbers you see in the image. There is a already checked checkbox below that, where you agree with their terms and conditions and a copyright notice. You don’t have to worry about that. Now Click 注册 to register. Note that you cannot use space, but you can use numbers or underscore for your username (see image below). If you get an error message, your nickname has already been picked or you did not enter your email. Click on the blue button to continue. When you pressed the blue confirm button you will go to a screen where you can choose a nickname. Below you see the nickname page. Choose a nickname and press the big blue confirm button to continue. If you get an error message, your nickname has been taken, and you choose another one. Congrats, you create youku account! 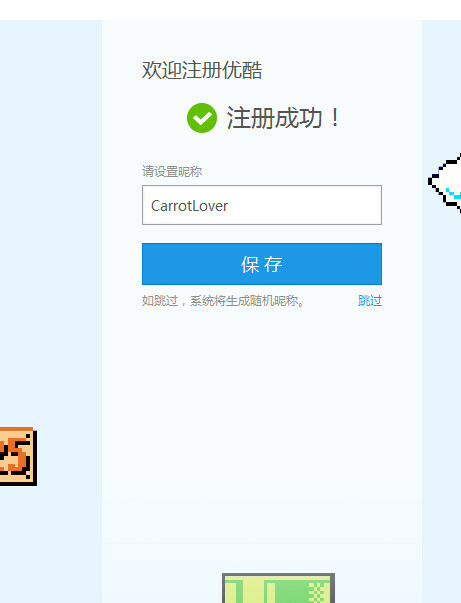 You will enter a new screen where it says that you have registered an new account on Youku. This screen will close within 1 second. Now you can continue with uploading your first video.